Bearskin Airlines today announced the introduction of a complimentary ground shuttle service between the Dryden Airport and the Red Lake Airport during the construction period that necessitates the closure of the Red Lake Airport. 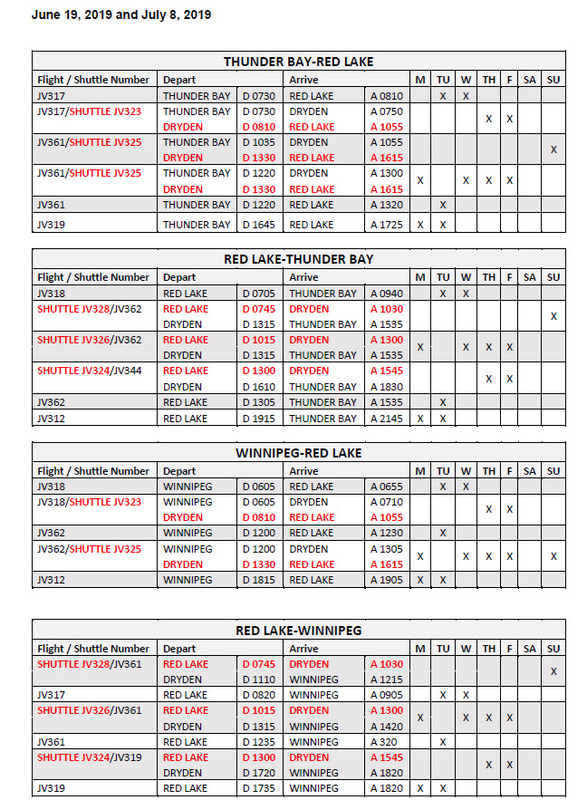 On March 27, 2019 Bearskin Airlines was advised by the Red Lake Airport of their intent to close the runway between the period of June 19, 2019 and July 8, 2019. Full access to the airport will only be available on Tuesdays during this period and limited access will be provided after 6pm on Mondays and prior to 8:00am Wednesday mornings.